The LDF has suffered a severe jolt in the by-election from Neyyattinkara in Kerala in June while BJP stood as the major gainer. Both the ruling and Opposition Fronts suffered erosion of votes in the election. The vote share of United Democratic Front (UDF) dropped from about 43 per cent to 40 per cent despite victory in the election while that of the LDF dropped from 49 per cent to about 35 per cent. The BJP’s vote share went up about six per cent to more 23 per cent. The by-poll was necessitated by the resignation of Mr. R. Selvaraj as CPI (M) member of the Assembly and his defection to the Congress. 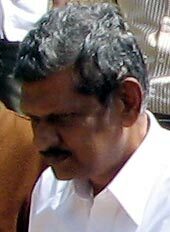 When Mr. Selvaraj contested as CPI (M) candidate in 2011 under the banner of LDF, he had won a vote share of nearly 49 per cent. As Congress candidate now under the banner of United Democratic Front, his vote share has dropped to 40 per cent. So, it is a loss for all the parties except the BJP. The BJP has gained from the communal divide caused by induction of fifth Minister belonging to the Muslim League into the UDF ministry. However, both the UDF and the BJP have gained from bigger erosion of votes from the LDF camp. This erosion should have been the effect of protest over the brutal murder of RMP leader T. P. Chandrasekharan and the issues raised by the murder. The LDF lost votes from three groups— CPI (M) workers who sympathised with Mr. Selvaraj, supporters of line adopted by Opposition Leader V. S. Achuthanandan in the party and supporters of the party in the general population who were antagonised by the murder politics and other policies of the party. The last two groups either voted for the UDF or the BJP depending on their communal inclinations or apathy to the UDF. The UDF lost many votes to BJP as the majority community members turned away from the Front over issues like appeasement of Muslim League. However, it benefitted from consolidation of minority votes in its favour, when the BJP seen as making inroads into UDF support base. In an earlier posting, KeralaViews wrote about LDF getting jittery over its electoral prospects. That jittery phase is almost over and the LDF has started drawing up strategies carefully to regain its lost ground. It may be a bit surprising that the first indication of this had come from the Chief Minister V. S. Achuthandnan, despite his rout in the party. He said that communalism is growing in the Christian and Muslim community. Neutral observers may regard it as a statement of fact. However, Achuthanandan has stated that now just to endear himself to the majority community. The strategic shift to woo the majority community over earlier attempts to woo the Muslims by even giving in to fundamentalism, however, leaves the party with baggage from the past. The PDP has to be discarded. However, it is yet to be seen whether the party would abandon all those who had helped it in the past and probe all the fundamentalist activities that had taken place in Malappuram and other districts to the root. The Indian National League has already sensed the drift and decided to call it a day. It would be leaving the LDF after a 16-year old liaison. The CPI (M)’s attempts to woo the Christian community were a stalled effort for long. The community had voted overwhelmingly against the LDF in the Lok Sabha elections. Now that the Kerala Congress has left the camp, the party has virtually severed links with the community. The Kerala Congress faction led by P. C. Thomas could only be a liability in carrying forward with its new strategy. Mr. Thomas was a person who had been debarred from contesting the elections for the next three years for openly using communal card in the election campaign. Hence, the reluctance to grant Ministerial berth to the party. The strategy may also help the State. The political protection that extremists got in the past may dissipate. As the LDF distances itself from minority communalism, the UDF would not be compelled to cater to communalists and fundamentalists. This is already showing through its resistance to bargaining by Kerala Congress. The Muslim League had to abandon talks with the Jama-ate-Islami. However, the new strategy may not yet save the LDF from impending defeat in the coming elections. Their failure to govern and the riches of the CPI(M) and the corruption that goes with it is indeed a heavy baggage. The decision of the Kerala Congress led by P. J. Joseph to quit the Left Democratic Front comes as no surprise. Nor is the opposition to its merger with the Kerala Congress (M) in the United Democratic Front. The move follows total disenchantment of the Church with the LDF dispensation. The Kerala Congress has been told in no uncertain terms by Church leaders that it would not find support if it contested the elections from the LDF camp. So the hurried decisions to decamp. The LDF too is not keen to press the Kerala Congress to remain in the Front as the party would be worthless without the ability to pull-in Christian votes. So, this is divorce by mutual consent despite CPI (M)’s accusations of betrayal. The Kerala Congress led by P. C. George has already found refuge in the Kerala Congress (M) though latter’s leader K. M. Mani was the bête noire of George for long. Another Kerala Congress group led by R. Balakrishna Pillai is contemplating admission to the Congress. The Jacob group is back in the UDF after some dilly-dallying with the LDF. The perception that the electoral prospects of the LDF are dim for the coming elections is an added reason for constituents quitting the LDF. Even CPI would like to quit if it had an option. The larger picture is quiet depressing for small political parties of Kerala. Kerala has seen extinction of several parties such as the SSP, KSP, KTP, PSP, NDP and SRP. The Democratic Indira Congress led by K. Muraleedharan had to immolate itself and seek refuge in the NCP. Now, Muraleedharan has quit the NCP too and is waiting at the door steps of the Congress for entry. The RSP splinter group in the UDF has found accommodation in the JSS led by K. R. Gouriamma. But the question is whither JSS after Gouriamma. The Congress (S), Janata Dal factions, RSP and even the CPI have also become threatened species in Kerala politics. Regional parties such as the Kerala Congresses are losing ground in Kerala, bereft of any ideology or agenda other than capturing or staying in power. However, united, the Kerala Congress is bound to improve its electoral position in the coming Assembly election. Otherwise, leaders such as Mani, P. C. George, Joseph and Mons would have found the going tough in their constituencies. The Congress will do better not to spare any additional seats for the United Kerala Congress. It is seeking to improve its bargaining position during seat division by allowing the entry of Balakrishna Pillai and his son into the party. Muraleedharan would also eventually find a place in the Congress if the situation gets tough. It is stated policy of the CPI (M), or for that matter any of the mainstream political parties, that they would have no truck with extremist outfits and terrorists. However, in practice, this may not be so. There is little doubt that both the UDF and LDF had hobnobbed with extremists as part vote bank politics. As a result, extremists could take deeper roots in districts such as Malappuram. The network is deeper than that had come to light so far. However, the police, under political pressure, is still reluctant to strike at those who aided the network to take deep roots. It is to be remembered that the State Assembly had passed a resolution seeking the release of Maudani from Coimbatore Central Jail. Achuthanandan had gone to Chennai to meet the Tamil Nadu Chief Minister and plead for Maudani. The cost that Tamil Nadu extracted was the Assembly resolution in favour of release of Neyyar waters to Tamil Nadu. So, the promise of any politician that they would not have any truck with extremist organisations in future is to be taken with a pinch of salt. Eternal vigilance by the public would only ensure that the mainstream political parties would not stray into extremist camps. The Congress led United Democratic Front in Kerala is imposing another hartal on the people for its own failures. The hartal is in protest against the Cabinet’s recommendation to the Governor against prosecution of the CPI (M) State secretary Pinarai Vijayan in the SNC Lavalin corruption case. The case pertains to the period when Pinarai was the Power Minister in the LDF Cabinet that came to power a decade ago. After that, the UDF had ruled the State for five years. Five years was enough time for the government to conclude an investigation and permit prosecution. But the UDF Government was keen on withdrawing the Palmolein corruption case against Congress leader K. Karunakaran rather than pursuing the case against Pinarai, especially when the present Opposition Leader Oommen Chandy was the Chief Minister. After the investigation was entrusted to the CBI, the Congress had been in power at the Centre. However, the CBI sat on the investigation as along as the CPI (M) was supporting the Government at the Centre. Then, it acted and sought sanction from the Governor for the prosecution, which he referred to the Government. The Advocate General, who is a political nominee of the CPI (M) has given a legal opinion against prosecution despite the CBI listing Pinarai as the ninth accused after an investigation supervised by the courts. The CPI (M) intervened to force the decision by the Cabinet against feeble objections raised by the Chief Minister. The case has never been vigourously by the Congress. Now, in view of media criticism about its dilly dallying, the party is imposing another hartal on the people. Thus both the UDF and LDF becoming party to subversion of rule of the law in the State. What the political parties in Kerala has achieved over the last 60 years is to increasingly communalise politics in the State. It was no secret that all the political parties considered communal factors in fielding candidates for elections from the forties. The Congress developed it into an art by working out complex arrangements to achieve balance. CPI (M) leader E. M. S. Namboodiripad gave a new leash of life to the Muslim League, which Nehru had called the dead horse, in Kerala. It is not mere coincidence that the same party is now promoting the PDP. The results of decades of communal pampering is that religions and communal outfits have become more demanding. The PDP is arm twisting everyone. The Catholic Church, which used to pay at least lip service to the principle of separation of the Church and the State, is now openly making demands for specific candidates. The Malankara Orthodox Syrian Church has gone a step further by proposing to field candidates. Other churches are also on the path of doing what they can. The CPI (M) is embracing both the right wing Jana Paksham and the PDP. In this scenario, traditional communal outfits such as the Muslim Leauge, NSS and SNDP and even the RSS appear to be dwarfed. The CPI (M)’s truck with the PDP reminds one of the Congress leader Indira Gandhi promoting Bindranwala in Punjab against the Akalis. It would not be long before such elements turn against those who mollycoddled them. At least UDF covnenor P. P. Thankanchan who printed the photo of PDP leader Abdul Nasir Maudhani on his campaign poster would have realised that by now. The draft Road Policy, released by the Government recently, is shy of clear proposal on the proposed expressway from Kasaragod to Trivandrum. The proposal for an expressway, mooted by former Minister P. J. Joseph in the LDF Government, had attracted much criticism when the UDF Government went ahead with the plans. Apart from criticism on environmental grounds, one factor that turned away many from the proposal was the talk about commissions and real estate deals behind the project and issues of land acquisition. In fact, corruption had become a bane of almost all major projects in the State. However, express highway is something needed by the State, considering the growth of cars and other vehicles in the State. If the government is unwilling to develop express way on some valid grounds, it should take steps to discourage the shift towards two wheelers and cars and encourage mass transport. However, the government is not willing to do either. It did not want to touch the car manufacturers on the wrong side. Nor is it willing to face public wrath over land acquisition and other criticism. The Public Works Minister in the UDF Government M. K. Muneer tried to wriggle around the problem renaming the expressway as access controlled corridor. The present Government is claiming that the North-South road transport corridor proposed in the Policy is not the same as the expressway. As the policy notes, the coastal and midland region of the state contains nearly 76 percent of the state’s population and contributes to a similar share of the gross state domestic product. Hence, development of a corridor through the midland region is a must unless the State is to face serious traffic jams. It is important that the North Kerala should have fast access to the South and the capital city. However, development of missing links and improvement of existing roads along the Hill Highway is unnecessary. The population in the hilly areas is limited and there is little need for North South movement along the hills. What are needed are East-West roads connecting the hilly areas to the midlands and the coast. These should also carefully developed not to cause any pressure on the remaining forests on the Western Ghats.